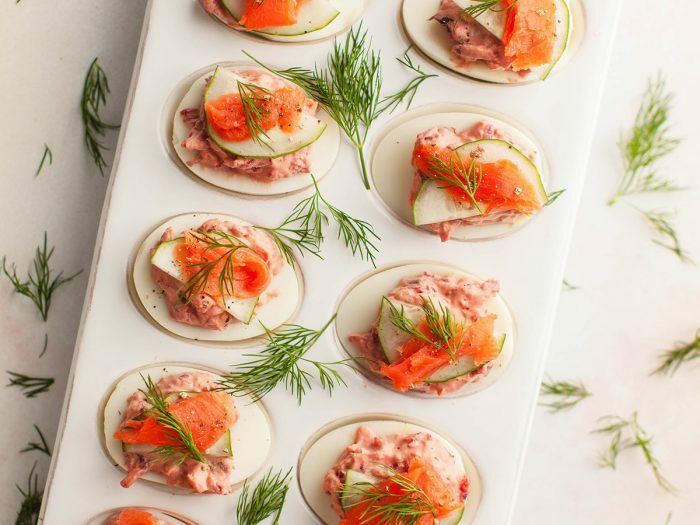 Deviled Eggs with Beets and Smoked SalmonAdd some sparkle to your appetizers with these deviled eggs with beets and smoked salmon recipe! It's fun, delicious, and easy to make! 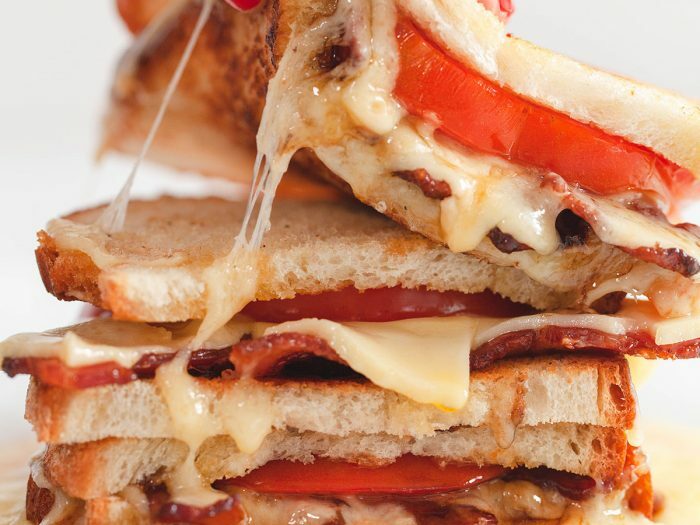 Balsamic Bacon and Tomato Grilled CheeseMade with fresh heirloom tomatoes, crispy bacon, and gruyere cheese, this balsamic bacon and tomato grilled cheese will never disappoint! 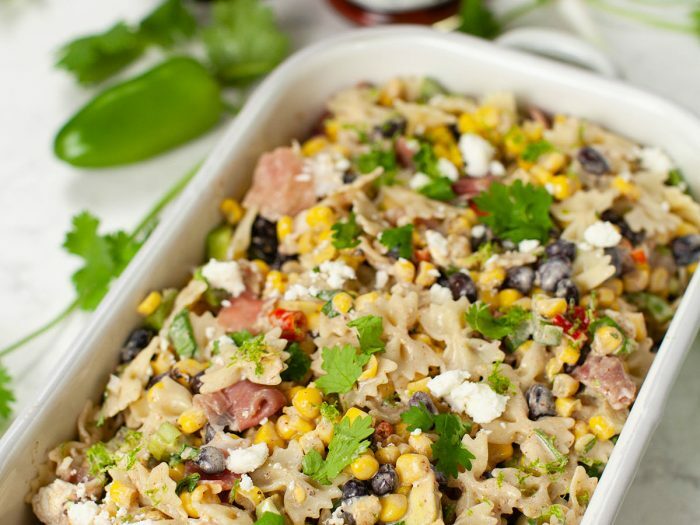 Roasted Corn and Hot Pepper Pasta SaladThis roasted corn and hot pepper salad brings a mix of cool and heat to your table! Regardless of how hot you prefer, it'll always be a fan favorite at any summer gathering! Spicy Caprese SandwichWant a caprese salad and a sandwich at the same time? 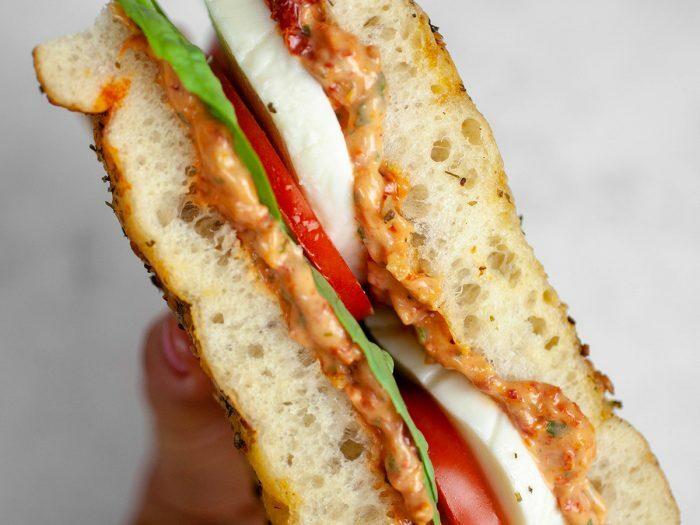 Well look no further with this spicy caprese sandwich. All your favorite parts of a caprese salad plus some spicy mayonnaise. Spinach and Artichoke DipEver wondered how to make this very common and popular appetizer at home? 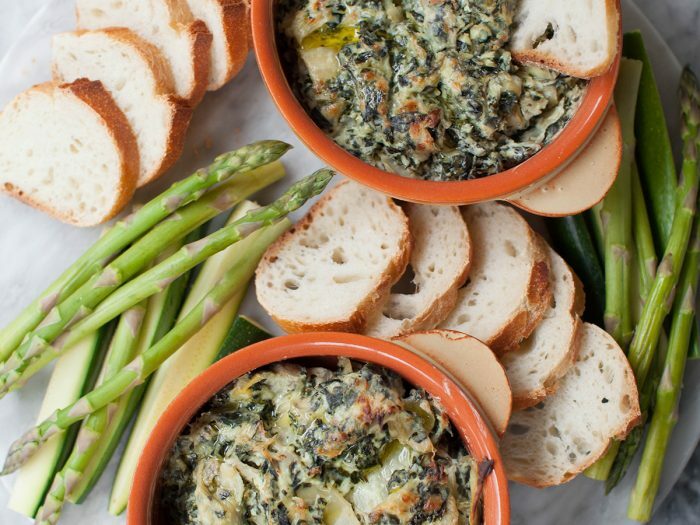 Our spinach and artichoke dip is simple and fast, and homemade. 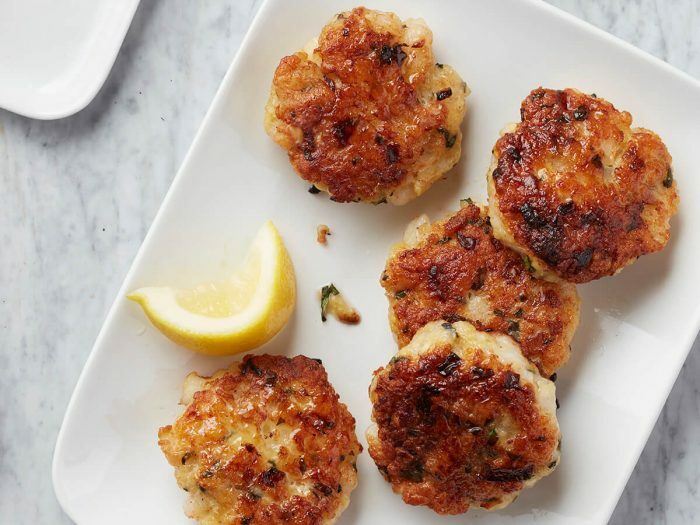 A perfect appetizer for NYE. 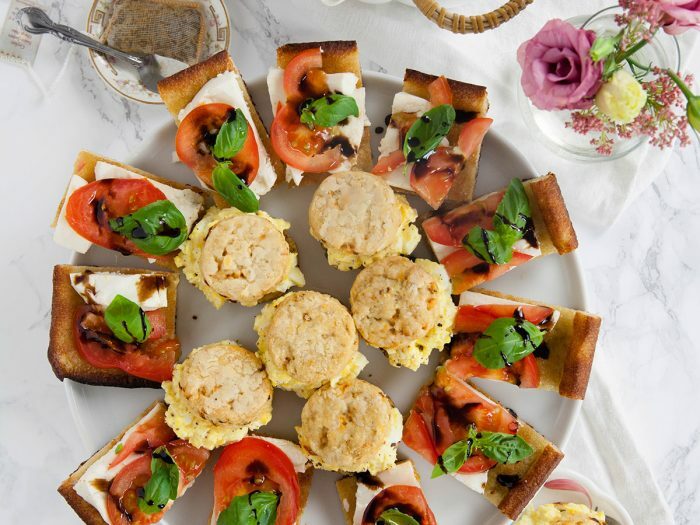 Pesto Egg Salad with Drop BiscuitsPerfect for brunch or afternoon tea. Sun-dried tomatoes add a savory punch to these biscuits, while the basil pesto gives egg salad an herbaceous flair. 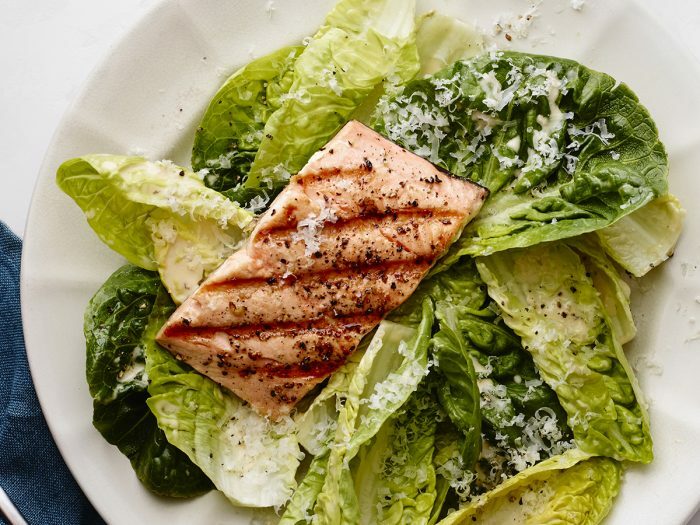 Grilled Salmon Caesar SaladElegant and delicious, this grilled salmon Caesar salad is a healthy twist on a classic salad and is perfect for a summer day. 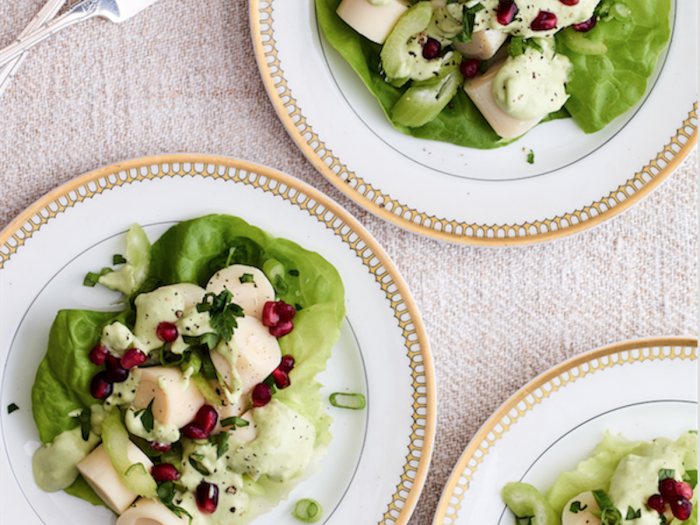 Hearts of Palm Salad with Creamy Avocado DressingThis salad is perfect to serve as an appetizer, but is also hearty enough for lunch or even a light dinner. 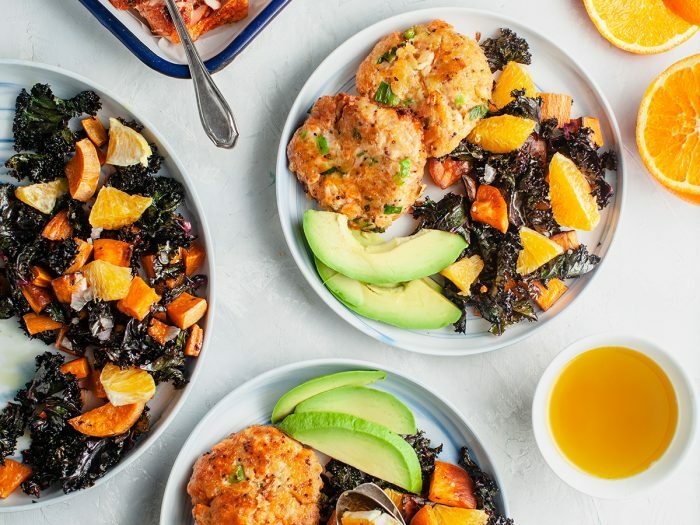 Add salmon for a twist!